The on-line, double conversion UPS design from Juice Goose found in the NXRT and XPRT series operates connected equipment from the battery 100 percent of the time. Wall power is used only to charge the batteries. The batteries provide complete isolation from AC power surges, dips and line noise, eliminating the need for expenditures on surge protection components. Other UPS designs may provide voltage regulation. But they don’t offer a complete buffer against AC power hazards. When battery support isn’t practical, the Juice Goose RX Series is a less expensive, high performance alternative. The F1500-UPS is company’s first battery backup solution to feature Furman’s SMP/LiFT/EVS technologies for professional-level protection and linear AC noise filtration. The F1500-UPS adds an increased battery capacity that is expandable via an optional external battery pack for true sine wave output, and BlueBOLT compatibility for remote IP control and energy management available as an optional IP card. With BlueBOLT, the F1500-UPS will send a notification to the installer or end-user in the event of a blackout and provide power management control of the system. The IsoCenter Rackmount Isolation Transformer system is engineered to enhance AV performance. Designed with an energy saving surge protected & high-efficiency shielded isolation transformer with integrated load center, this product reduces the labor and expense of installing multiple components. 100,000 amps of integrated surge protection across multiple branch circuits together with an integrated autodisconnect safety mechanism that protects connected equipment in the event of sustained over- and under-voltages means that IsoCenter provides true system-wide protection. Power is automatically reconnected when voltage returns to a safe level, eliminating service calls and system downtime. Tripp Lite’s Pure Sine Wave UPS Systems ensure that AV equipment performs at its best, isolating connected components from power problems. These UPS Systems offer IP remote access, control and diagnostics capability and environmental status with email notification. Installers can remote system reboot and monitor from anywhere in the world. The Pure Sine Wave UPS Systems have drivers written for Crestron and AMX, allowing for seamless integration. And with zero transfer time to battery, these UPS Systems ensures there is no delay in protection. The new APC AV 20-Amp Rack Power Filter provides application-specific noise filtering and guaranteed protection for high-performance AV equipment from damaging power transients. The power-saving G50B-20A2 not only protects and filters power, but also can help lower energy bills by smartly managing power to idle systems. A rechargeable flashlight is removable and magnetic to provide hands free illumination anywhere in the rack. 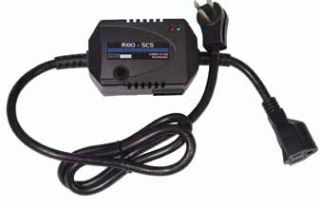 The SurgeX SU-1000Li is designed to provide response, voltage regulation, and backup during a brownout, blackout, surge, or power failure than standby models. The SU-1000Li, a 1000 VA Line Interactive UPS, is backed with SurgeX Advanced series mode surge elimination technology to shield computer and AV equipment from catastrophic damage. The SU-1000Li includes common mode and normal mode Impedance Tolerant EMI/RFI filtering, and provides a sophisticated web browser-based interface to manage power settings, customize diagnostics, monitor multiple computers and schedule shutdowns and restarts. The Panamax M4315-PRO is one of the company’s first power management units to combine BlueBOLT energy management with pro level linear noise filtration for enhanced AV performance. The 1-RU, 15A M4315-PRO includes the BlueBOLT CV-1 card as well as a standard RS-232 communication port for remote control of all eight individual rear-panel outlets, enabling installers to automate equipment functionality. The sturdy unit features a rackmount configuration for PRO installations. Elite Screens’ Raptor Modular Projection Screen uses CineWhite Tension material for enhanced flatness. It is a 1.1 gain material that has full diffusion uniformity and is black-backed to eliminate light penetration. For those interested in non-tensioned material, units with Maxwhite 1.1 gain non-tensioned material are available as well. Elite’s Raptor Modular Unit is an electric self-standing projection screen for installations when wall or ceiling screen installations are not practical. HAI’s (Home Automation Inc.) Snap- Link Mobile for iPhone is now available in the iTunes store. By downloading the application developed by HAI, users can now control their entire HAI home or business from an Apple iPhone, iPod Touch, or iPad. The colorful hand-held interface is similar in design to HAI’s other mobile interfaces including Snap-Link Mobile and WL3. Homeowners and business managers have the ability to view event logs, real-time surveillance footage, and adjust anything under HAI’s control. SurgeX’s Eliminator Series XU115 is a 1000VA line interactive UPS is the only UPS product in the market that completely eliminates surges and transients that can not only degrade AV system performance but shorten system life as well. The XU115 includes both common and normal mode Impedance Tolerant EMI/RFI noise filtering, and provides a browser-based interface to manage power settings, diagnostics, and schedule shutdowns and restarts. Platinum Tools’ JackAX 110 Termination Tool terminates all standard brands of jacks, including 90-degree and180 degree jacks as well as single row pairings. The JackAX’s design ensures 110 jacks are terminated eliminating common NEXT and FEXT failures. Engineered for ease of use, including applications inside walls and junction boxes, the blade is securely held in place with simple screw and it weighs in at 10.9 ounces. OmniMount’s RE18 and RE27 rack systems are designed to be out-of-the-box solutions to AV installers on the go. The rack systems ship completely assembled, with pre-configured rack shelving that easily accommodates a wide range of audio and video products with immediate convenience. These racks also feature a fully installed cooling system with top and bottom ventilation and preinstalled top cooling fans to ensure that the equipment is properly cooled. Belden’s new line of F, BNC, and RCA compression connectors are fine-tuned to Belden coaxial cable tolerances to ensure maximum signal reliability and performance for audio/video, safety and security applications. The new compression connector tool also ensures a secure, positive compression. Belden’s entire family of F, BNC, and RCA Series compression connectors are designed to exceed SCTE Standards for signal ingress, egress, and water migration. Definitive Technology is launching four new models of Bipolar Series Super- Tower floor-standing wood-enclosure loudspeakers with built-in subwoofers; three new matching center speakers, two of which feature built-in powered woofers; and two new matching bipolar surround speakers. The nine new models replace 11 older SKUs. Every part of every new model has been redesigned and improved for dramatic upgrades in appearance, functionality and performance. The Gefen ToolBox Extender for HDMI 3DTV is a new, wall-mountable product offering extra long-range extension for HDTV displays using HDMI with 3DTV capabilities. It is suitable for extending HD sources to HDTV displays with 3DTV and IR remote control up to distances of 330 feet using just one Cat-5 cable. It helps to streamline installations using industry-standard cabling. The Perfect Flex line of broadband coaxial cables offers electrical performance of up to three GHz to accommodate the data transfer rate demands of today and tomorrow with ease. For high reliability and lasting quality, the Perfect Flex line features micro-crack resistance with superior flexibility and advanced corrosion inhibitors. Lutron Electronics’ RadioRA 2 wireless total light control system now features two new components: a dimmer for electronic low-voltage (ELV) loads and a hybrid keypad for retrofit applications. The Radio- RA 2 seeTouch Hybrid Keypad replaces a light switch in a standard wallbox; offers local and system dimming control of the attached lighting load; and provides system control of lights and shades throughout the home. Its backlit buttons make it easy to locate in the dark. The RadioRA 2 ELV Dimmer provides highperformance dimming for ELV loads and some dimmable CFL and LED loads. With a 532 MHz i.MX processor and 128 MB of nonvolatile flash memory, RTI’s XP-3 Central Processor includes a built-in astronomical time clock for time-based events, in addition to a builtin ZigBee RF transceiver to allow bidirectional communications with compatible RTI remote controls and third-party electronics. The multipurpose I/O port accepts a standard IR emitter input, or can be used with RTI accessory devices. Extron Electronics’ SSP 7.1 Surround Sound Processor now includes a seven-channel, nine-band parametric EQ; Live and Emulate operation modes with configuration file saving; and up to 100 ms of lip sync adjustment on each input. These features can be accessed with version 2.0 of the Setup and Control Software, which provides a user-friendly interface for simplified setup and control of the SSP 7.1 as well as calibration of the sound system. Tripp Lite’s S-Video/Stereo Audio over Cat-5 Extender Kit enables an S-video/ stereo audio signal to be extended up to 700 feet. When used with 24Awg Solid Wire UTP cable, the B137-101 can transmit audio and video signals to a remote TV or projector up to 500 feet from the source. Maximum range can be extended to 700 feet by using Zero-Skew UTP cable. Over shorter distances, standard Cat-5 cables may be used. Renkus-Heinz’s Aubion x.8 is an eightchannel A/D-D/A converter from Ahnert Feistel Media Group (AFMG). The product of a collaboration between AFMG and German hardware designers DSPpecialists, the Aubion x.8 is specifically designed to complement AFMG’s EASERA and SysTune, long recognized as industry standard audio measurement and system tuning software tools for professional sound engineers. The Aubion x.8 is the first eight-input/two-output converter specifically designed for live sound and installed sound measurement. Equipped with four XLR/TRS combo mic/line connectors, eight SUB-D-25-based line connectors and two TRS servo-balanced outputs, Aubion x.8 is fully integrated with both EASERA and EASERA SysTune Windows-based software packages. AMX’s Novara 3000 Series ControlPad is a standalone user interface combined with an onboard controller that can be configured to operate lights, AV equipment, HVAC systems, and the likes in simple conference rooms/classrooms. These smartly designed keypad/controllers fit into a standard US, EU or UK back box and are available in six-, eight- and 17-button configurations. Crestron’s DigitalMedia (DM) matrix switchers feature long-life, redundant power supplies (RPS). Crestron DM switchers provide the foundation for a complete DigitalMedia system, delivering an advanced, true high-definition multiroom AV signal routing solution that’s extremely flexible and installer-friendly. Mitsubishi Digital’s 65-inch MDT651S LCD monitor is designed for traditional conference room visual display as well as for videoconferencing and digital signage applications. Mitsubishi’s MDT651S 65-inch LCD offers both front and rear ambient light sensors that detect lighting conditions in two areas. These sensors adjust the monitor’s brightness level based on its readings and automatically balance image brightness for optimum viewing, regardless of the brightness of the ambient light either in front of, or behind the monitor. When installed in venues where lighting changes constantly, the owner realizes energy savings through reduced power consumption when the ambient lighting turns darker. Bretford Manufacturing’s 84-inch round tables are designed for the Scale-Up teaching model used in educational environments. With adjustable and sturdy work surfaces, shelving, and optional electrical units, the tables comfortably seat up to nine students with or without laptop computers to promote group interaction for improved problem solving, conceptual understanding, attitudes and success rates in higher education classrooms. The term SCALE-UP stands for “Student-Centered Active Learning Environment for Undergraduate Programs.” It involves redesigning a classroom to facilitate interactions between teams of up to 100 students who work on short tasks. With these new modules, available free of charge to URC installers through the dealers-only URC Tool Box, URC’s Network Series controllers now work with the TED 5000 energy monitoring system from Energy, TED, short for The Energy Detective, integrates with a home’s electrical system to monitor residential power usage. A certified electrician can install the TED 5000 device in the main panel in just a few minutes. X2O Media’s Microsoft PowerPoint add-in greatly simplifies the content creation process, allowing users to build their own wayfinder maps for corporate facilities, campuses, airports, and more. With the new wayfinder add-in, users of X2O’s Xpresenter digital signage platform can easily import floor plans and create digital, interactive wayfinder maps directly inside PowerPoint and publish them to the X2O network. Atdec’s TH-1040-CT family of ceiling mounts support displays up to 55 pounds and come in two different variations, short pole and long pole, ensuring that the mount will satisfy any length requirement between 15.75 inches and 70.87 inches. The mount also comes pre-assembled, guaranteeing safe, reliable, trustworthy, and dependable installation, while dramatically reducing valuable setup time for the Pro AV installer. The TH-1040-CT features a telescopic design that allows a primary adjustment range of 15.35 inches and 33.07 inches for the CTS and CTL respectively. OmniMount’s RE18 and RE27 are the most recent additions to its growing portfolio of rack systems. The RE 18 and RE27 are designed to be out-of-the-box solutions. The rack systems ship completely assembled, with pre-configured rack shelving that easily accommodates a wide range of audio and video products with immediate convenience. These racks also feature a fully installed cooling system with top and bottom ventilation and pre-installed top cooling fans to ensure that the equipment is properly cooled. The RE27 is a full rack made from heavy-gauge welded steel, features a standard 19-inch rack enclosure with lockable tempered-glass left- or righthinged front door and side panels. StageTec’s NEXUS Server is used to optimize NEXUS in master-control-room applications. Designed in close cooperation with BFE, NEXUS Server integrates tightly with KSC Manager, BFE’s MCR control system. The NEXUS Server enables event-based routing to be set up. The operator configures the Server in advance using a graphical user interface or by filling in a table. The programmed routing actions are then performed automatically at the exact preconfigured time. Tributaries Cable’s T1A AC line protection device is a single-outlet unit providing 540 joules of surge suppression with an added line filtration circuit for clean power. The T1A is engineered with the X3 MOV, providing advanced surge suppression available in a consumer product of its size. This single-outlet device is capable of complying with the latest, most difficult surge suppression safety rating: UL 1449 - 3rd Addition. The compact size of the T1A is designed to protect subwoofers, garage door openers, sprinkler system timers, espresso makers, or any other types of household electronics that operate with solid-state electronics. Gefen’s Digital Signage Creator (DSC) works with any Windows-based browser and gives users full control over their digital signage content creation. The layout program offers the ability to create templates, insert music, layer video images, write scripts to control content, and pull RSS feeds off the internet to name just a few. Unlimited creative possibilities free users to build totally customized content that best suits their unique needs. Each DSC comes with Digital Signage Director (DSD) software. Key Digital’s KD-VP750 and KD-VP1250 video processors are the newest additions to the HD Hot Rod Series of video products and allow de-interlacing and scaling of SD composite/S-video inputs or HD, VGA/RGBHV resolutions, to component and HDMI video output resolutions supporting most interlaced and progressive video formats such as 480p, 720p, 576p, and 1080i/540p to all HDTV outputs. This enables the KD-VP1250 to act as a universal distribution center for any SD VGA/RGBHV input resolutions to any component or HDMI video output resolutions. TV One’s 1T-EDID-11 EDID/CEC Selector allows for easy set up of the EDID and CEC parameters between a source and display monitor. Instead of waiting for the source and display to synchronize, this HDMI switcher saves time by using preset EDID and CEC settings to speed up the process. It’s also easy to change your settings should that become necessary due to the selection of a different source or destination device or because you have purchased new equipment. Amphenol’s AX series of XLR connectors are designed to complement modern audio architecture and truly fit within their environment. The Australian designed shell and housing feature a one-piece ground latch spring design with an oversized ergonomic latch for quick and easy mating. The chuck style cable clamp with integrated split suits cable O.D. Precision machined pin contacts as standard with compact 14AWG solder buckets to reduce termination time and material wastage during the soldering process. TOA Electronics’ D-2000 series digital mixing system now includes the D-2012C remote fader control unit and the D- 2012AS console case. The TOA D-2012C remote fader control unit is equipped with 12 assignable motorized faders, eight rotary encoders and is fully programmable and customizable. The D-2012AS console case is an accessory to the D-2012C that is designed to make it a desk-top type unit. The entire D-2000 series digital mixing system consists of the D-2008SP digital mixing processor unit, the D-2000AD1 mic/line input module and the D-2000CB CobraNet Interface Module. Middle Atlantic Products’ C-5 Credenza Rack Series is designed with a steel frame and a separate outer covering that can be tailored to the customer’s specifications. With this approach, the installer-friendly C5 Credenza Rack is designed to eliminate long waits, speeds up integration, and reduces the effects of shipping damage by shipping the outer Credenza surfaces separately from the rack structure. Installers can choose from one, two, or three bay rack sizes with a choice of styles and colors. Altinex’s TNP221 and UT250-101 Collaborative Workspace Package consists of the TNP221 Tilt ‘N Plug interconnect box and the UT250-101 under table matrix switcher. The pairing of these two products makes simple for one to patch in a laptop computer and select a specific display device for sharing information with colleagues. Extron Electronics’ SW HDMI LC two and four input switchers support HDMI 1.3 specification features, including data rates up to 6.75 Gbps, deep color, lip sync, and HD lossless audio formats. HDCP compliance ensures interoperability with other HDCP-compliant devices. The switchers support all HDTV rates including 1080p/60 with 12-bit deep color, and PC resolutions up to 1920x1200. Front panel LED indicators provide visual confirmation of signal presence. Input cable equalization for each input compensates for cables up to 50 feet in length. Designed for small to medium sized conference and training rooms, Sound-Craft Systems’ custom conference tables are available in sizes up to five-feet wide by 10-feet long. A wide variety of shapes and bases are available, with solid hardwood trim options in various profiles available. Tables are offered in all standard wood veneers, as well as high-pressure plastic laminates. Custom finish matching is available, and archived for future reference. All tables feature a wiring channel and leveling glides as standard to facilitate installation. Remote Technologies Incorporated’s (RTI) vIRsa Mouse IR emitter features a sleek, symmetrical design while providing a host of features to ensure smooth, reliable installations. The low-profile vIRsa is unobtrusive and adapts to any installation environment with a flexible film adhesive that conforms to curved surfaces. For fast troubleshooting, a separate holder remains attached, allowing easy removal and replacement of the emitter. A blue LED flasher offers increased visibility but may be hidden during normal operation. For high reliability, a translucent PCB improves the integrity of electrical connections while a built-in resistor protects against voltage overdrive and precision molding ensures consistent quality. Pelco’s 32-inch and 24-inch monitors are now qualified as Energy Star products under the professional display/signage requirements for displays within this program. Energy Star certified models include the Pelco PMCL532F and PMCL524F Full HD Displays. Intended for installations that demand image quality with a conservative footprint, these monitors deliver 1080p Full High Definition video that captures all the detail of today’s megapixel cameras. Hiperwall’s version 1.2 of its namesake high-performance, low-cost video wall system has been released. Available to all new customers and as an upgrade for all previously installed systems, Hiperwall v1.2 includes a new ‘Scheduler’ function that enables an administrator to configure the system to automatically add or remove content from the video wall at specific times and dates. The latest Hiperwall software version also features a ‘Web Services Interface’ function that turns any PC or other networked digital device, including AMX or Crestron controller systems, into a remote control unit that can change the video wall display in a single room or throughout a facility.